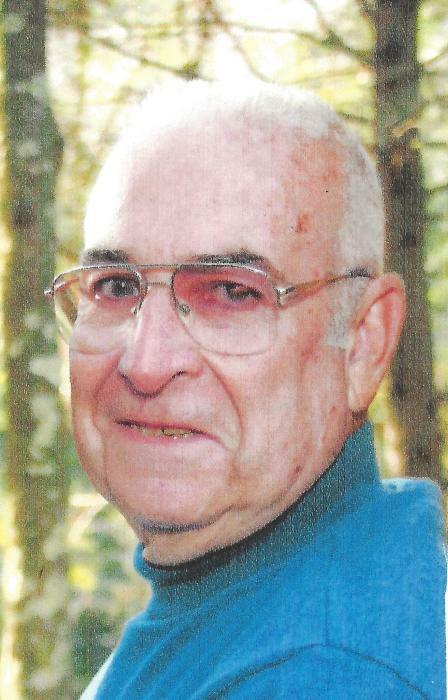 Charles E. Greenawalt, 84, of Williamsport, died Saturday, March 16, 2019, at UPMC Susquehanna-Williamsport. Born April 11, 1934 in Williamsport, he was a son of the late William M. and Nellie E. (Faughman) Greenawalt. Charles was driver for New Penn Motor Express and reached the milestone of a million mile driver. He later retired as the president of 21 years from Teamsters 764, Milton. He was a member of St. Joseph the Worker Parish, Newberry Lions Club and a life member of the Newberry Republican League. Charles enjoyed riding his motorcycle, roller-skating, word searches and having coffee at the donut shop. Charles was known as a jokester. He loved spending time with his family and his dogs, Buddy, and the late, Newly. Surviving are his wife of 46 years, Claire J. (Campbell) Greenawalt; children, Ann E. Dohl (Eric), of Pittsburgh; Glenn C., of Thailand; David E., of Bullhead City, Ariz.; and Linda K. Brocious (Harry), of Lincoln, N.D.; grandchildren, Glenn Michael, Charles David and Brittany Rae Greenawalt; Felicia Lana Bodle and Brock Brocious; and two special granddaughters, Tiffany Marie and Tierney Lynn Ulmer; a sister, Ann Weikel, of Williamsport; one great-grandson, Thomas Timmins; two step-grandchildren, Sarah Beatrice and Eric Michael Dohl Jr.; and several nieces and nephews. He was preceded in death by a daughter, Diane M. Yost, and siblings, William Greenawalt, Margaret Weikel and Loretta Ulmer. A Mass of Christian Burial to honor the life of Charles will be celebrated 10:30 a.m. Wednesday, March 20, at St. Joseph the Worker Parish, 702 W. Fourth St., with Rev. Brian VanFossen, celebrant. The family will receive friends from 9:30 a.m until time of service in the church portico. Interment will follow in Wildwood Cemetery. In lieu of flowers, memorial contributions may be made to a charity of oneás choice.